“Did Jesus ever suggest by word or example that we should aspire to acquire, let alone take over, the power of Caesar? Did Jesus spend any time and energy trying to improve, let alone dominate, the reigning government of his day? Did he ever work to pass laws against the sinners he hung out with and ministered to? Did he worry at all about ensuring that his rights and the religious rights of his followers were protected? Does any author in the New Testament remotely hint that engaging in this sort of activity has anything to do with the kingdom of God? There are a couple or so ideas in this book that I most definitely do not agree with. the importance of this book. Rest assured that this rhetoric, whether spoken by Christians, Muslims, or any other socio-religious political group, is NOT the way of Jesus…OR of His followers. Some quotes follow, which may be periodically updated. The church was established to serve the world with Christ-like love, not to rule the world. It is called to look like a corporate Jesus, dying on the cross for those who crucified him, not a religious version of Caesar. It is called to manifest the kingdom of the cross in contrast to the kingdom of the sword. Whenever the church has succeeded in gaining what most American evangelicals are now trying to get — political power — it has been disastrous both for the church and the culture. Whenever the church picks up the sword, it lays down the cross. 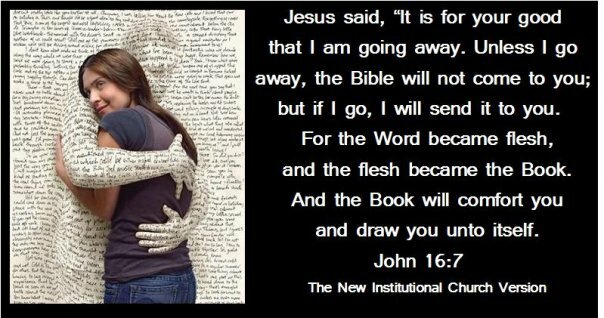 a threat to scare people about being “left behind” at the Rapture. What is Jesus really talking about in this oft-misunderstood passage? This is a good informational follow-up to Franken’s “Lies, and the Lying Liars Who Tell Them.” The documented and undeniable deceit, corruption, and manipulation by the Bush administration is truly mind-boggling! This particular book is filled with play by play accounts of the post 9/11 America, and how those in power used fear, among other things, to dupe a nation into unnecessary war, and torture. It was not about right and wrong. It was not about morals. It was not about justice. It was, to be sure, about power and money. Also discussed is the Terri Schiavo case: an example of how a family’s suffering was exploited for political purposes. For entertainment value, “Lies…” was a much more enjoyable book. It still had lots of “expose” type material. It was, though, more broad-based. But, if you really want to know what levers the “wizard” was pulling behind the curtains, this book will chronicle that for you. We all have the right to support whomever we wish, but we also have a responsibility to investigate the truth about those whom we support. As for myself, I have truly had to repent before God for my right-wing, conservative, evangelical mindset. What is often promoted as a “Christian worldview,” is nothing more than a perverted political position wrapped in manipulative religion. These charlatans use a few “hot-button” issues, like abortion and gay rights, to stir up the conservatives and attempt to claim some kind of moral high ground, all while committing some of the most immoral activities imaginable. People like Tom DeLay, “who reportedly spends hours a week in church praying to his pro-life God,” while perpetrating crimes against humanity that make me want to vomit. So, if you can handle “The Truth” and the “Jokes,” pick up a copy and prepare to be educated.